I have been trying so hard to get used to a scheduled routine with my boys. Without it I would not find the time to do anything. 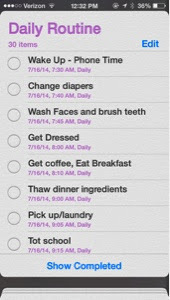 Make a list of your day with the time you want to spend on each task. 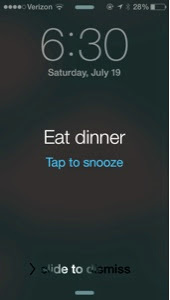 I listed everything as a reminder on my phone and set it to repeat every day. I hate when I spend too many hours on one thing too, you need to distribute your time well. That goes for cleaning, blogging and such. Every time I saw this I would finish up what I was doing and start this next task! Write it down. Writing things down or having a hard copy of your schedule makes it easier to remember. 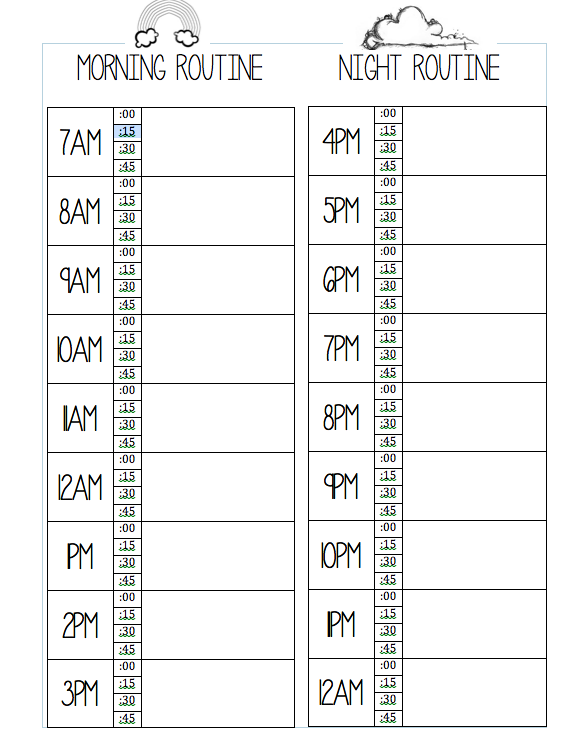 It starts at 7AM and ends at Midnight, you can adjust the colors by highlighting the cells and then going to table layout on top and click on "shading"
You can also split the description boxes depending on your routine by "splitting the cell"
Click here to download a printable version that you can fill in by hand. Before this schedule I would lounge around all day and barely get anything done. Break it down: If you have a big project and you feel like it's impossible to tackle, just break it down into parts. Do things one at a time, instead of trying to multitask, and it'll make it much easier to get done! Of course every day won't always go as planned, but like everything with practice you will get used to it. The hardest for me was making a habit out of doing my morning yoga and working out in the evening. Yoga only takes about 10 minutes yet I never took the time to do it! Hopefully now with my schedule it becomes a good habit that I learn. 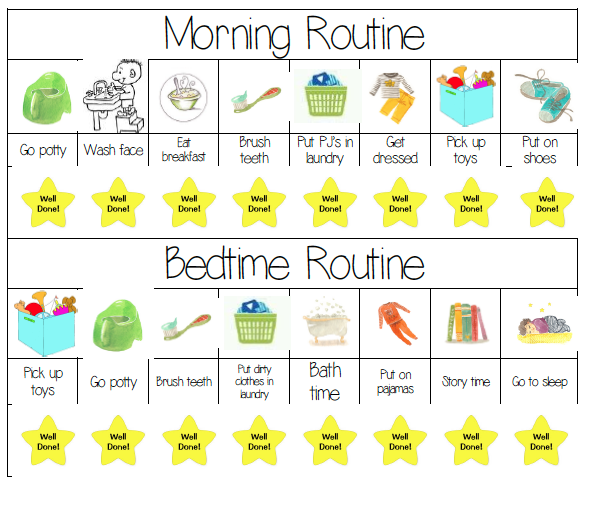 I also made this awesome chore chart for my son so it was like a triple reminder! This morning I tried it out for the first time. At first he was playing with it, but I told that he can only put it up once he did those chores. Right away he looked at the pictures and said brush teeth? And I said did you brush your teeth? And he went to the sink and started brushing his teeth! Then he came back all excitedly and I said "now you can put it up!" And he did and I showed the star that said well done and he went on to do that for every task! Thanks for reading! I hope this helped you! Wenda, please help! 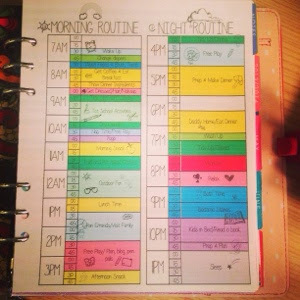 Where can I find that wonderful morning/night routine template of yours? I need to plan my day before holding my boys accountable, and I love your 15-min increment schedule! Help! And thank you this post is awesome!!! 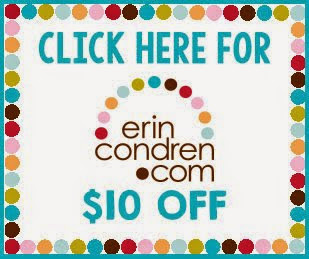 I will post the word file for you on here ASAP! Wenda you are awesome awesome awesome!! Thank you so much! And what great instruction on how to fill in too! Would you share your morning/night routine? I tried zooming in and its blurring. My biggest problem on my days off with the kids is getting down a good fluid routine that lets me do things with them and things I need to do. I'd love to use yours as a template and adjust it. This is great! 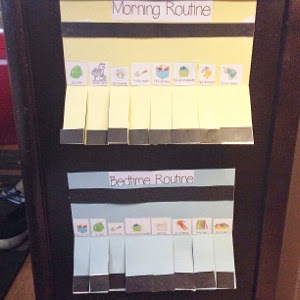 I am a parenting coach and I'm always trying to get parents to replace chaos with routines. This is great! 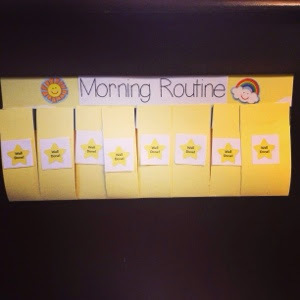 I am a parenting coach and I'm always teaching parents to replace chaos with routines. You are very creative!